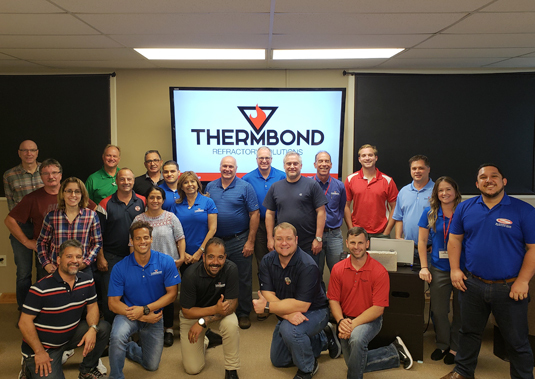 We recently wrapped up our 13th Thermbond workshop on September 19th 2018. This closely followed our very successful 12th workshop in June. The first event sold out quickly with guests from 11 different countries. Knowing others wanted to attend, we decided to host a “mini-workshop” in September. Attendance included 14 customers from the US, Brazil, Peru, and Canada which made for a very productive two-days! The more intimate audience allowed us to better customize the workshop to our guests and provide a more hands-on, interactive experience. This “mini-workshop” was so successful we are now considering hosting additional “mini-workshops” for customers in the near future. If your company is unable attend our larger annual workshops and is interested in attending a mini-workshop, please reach out to your Thermbond Advisor. The Thermbond team thanks our attendees for their interest and participation in making this another fantastic workshop! Stay tuned for details on our next Thermbond Workshop!